One of the more interesting aspects of nineties Star Trek is the seriousness with which it takes itself. Classic Star Trek was decidedly goofy science-fiction, with Kirk and Spock frequently crossing paths with the absurd and the ridiculous. Episodes like Arena and Patterns of Force lend themselves to mockery from all corners of life. The image of William Shatner wrestling with a guy in a green lizard suit looks crazy, even in context; the idea of an entire planet modelling themselves on the Third Reich so they can bully their neighbours from “Zion” is just nuts. The classic Star Trek encourages a certain sense of affectionate derision. Whether it’s William Shatner’s performance style or the incongruity of Kirk dressed as a gangster or an alien that looks like a giant pizza, the classic Star Trek was packed full of weird and zany imagery that occasionally seemed like a fever dream of fifties and sixties pulp science-fiction horror. It is easy to joke about Klingon foreheads or the cardboard sets, so these gags became something of a pop cultural shorthand. When the production team made an effort to update Star Trek for the eighties and nineties, there was a conscious effort to downplay the goofier elements of the franchise. This was evident in a number of different ways. The ship sets were built sturdier, the background music was toned down, the show shied away from traditional soundstage planetscapes after Hide & Q and The Arsenal of Freedom. The plots arguably got toned down as well, with nineties Star Trek largely avoiding the broad (almost lyrical) allegorical style of classic Star Trek. This is perhaps responsible for the stock criticisms of The Next Generation as “stuffy” or “staid.” The production team working on The Next Generation arguably took themselves a lot more seriously than their counterparts working on the original Star Trek, possibly as a result of the growing mythology around the franchise and possibly as a reaction against the affectionate mockery that the original series received. This is perhaps why the Best Drama Emmy nomination was such a big deal for the show in its final year; it finally broke out of the sci-fi ghetto. I have been opposed to gag reels simply because Star Trek is something that always borders on the silly. You’ve got people flying at impossible speeds and spaceships defying gravity. You’ve got a lot of things that are accepted, but that are almost scientifically ridiculous. It’s so easy to turn it into a parody. There are a whole host of feature film directors who adopt a similar policy; Christopher Nolan is not fond of outtakes or alternate takes, because he feels that it might potentially discourage actors from attempting more experimental interpretations of the material. However, there is just the faintest hint of insecurity about the insistence that nineties Star Trek should be taken completely seriously. After all, the line between “serious” and “ridiculous” is quite arbitrary when discussing a franchise with magic machines that can move people impossible distances in the blink of an eye and most aliens resemble humans with odd shapes stuck their forehead. Suspension of disbelief is a notoriously subjective concept, and it is hard to argue that Klingons are somehow less silly than Gorn. Perhaps this explains why episodes like Threshold tend to upset fandom more than grossly offensive racist nonsense like Tattoo or Alliances. Episodes like Threshold undermine the argument that the pseudo-science of Star Trek makes any sort of sense, and so it becomes something that must be immediately (and aggressively) exiled from the Star Trek canon before somebody can raise their hand to reference it during the next “Star Trek is scientifically plausible” debate. Of course, Threshold is a terrible episode of television, but generates a stunningly disproportionate amount of hate. 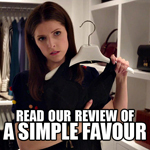 To be fair, this is entirely a matter of personal taste; it is up to everybody to decide what they like about a particular franchise and what they don’t like. However, it frequently seems like “Star Trek is somehow more plausible or realistic” is treated as an absolute indicator of objective quality. The argument is not “I prefer Star Trek because…”, but rather “Star Trek is better because…” There is a staggering amount of energy invested in the credibility (particularly the scientific credibility) of the Star Trek franchise. One last issue to consider in working with fantasy fans is a controversy among writers, a certain snobbishness it seems, about the superiority of genre over another. There seems to be a feeling among some writers and readers that Science Fiction is the genre designation of choice, and that it is better to be considered a writer of Science Fiction than a writer of Fantasy. This affects a pair of very popular authors: Anne McCaffrey and Marion Zimmer Bradley. Both state emphatically that they write Science Fiction, but their books are beloved by Fantasy fans, and probably cherished more by them than by readers of Science Fiction. Yes, there may be a scientific basis for these stories set in other worlds, but the feel of the stories and characters appeals far more readily to Fantasy fans than to Science Fiction readers. There is something deeply frustrating about the way that this conflict serves to stifle debate and discussion of works, suggesting that classification must come first – to decide whether a work is worth discussing. There is an irony in this, given both science-fiction and fantasy are treated like this by the mainstream. 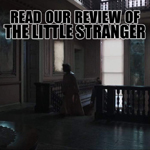 Of course, Innocence is a story that is very hard to explain away as being “more realistic” or more “scientific” than the fantastical concepts underlying the Star Wars universe. 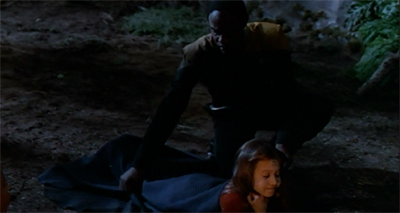 Tuvok crashes on a strange planet, where he encounters a group of what appear to be children who survived a recent crash. However, it is eventually revealed that these survivors are not children at all. They are members of a species that age backwards. 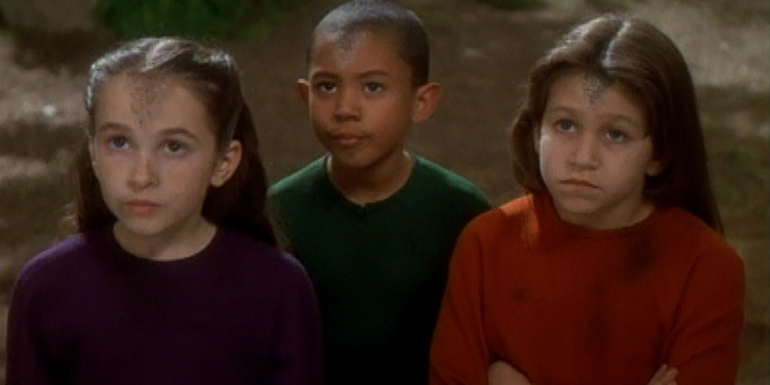 These “children” are older than most of the crew of Voyager, with the notable exception of Tuvok himself. How does that work, biologically speaking? How can a person be born as an old person and then age backwards to the point where the normal traits of age reverse themselves? The casting of the episode emphasises that the Drayans literally age backwards. They appear more human-like than most Star Trek aliens, a clever visual choice that exists to emphasise the bizarre nature of their lifecycle. After all, Aron Eisenberg couple play a teenage Ferengi and a teenage Kazon while in his mid thirties; a more stylised make-up design could mute the story’s metaphor. Jeez, Tuvok. At least put the safety on. 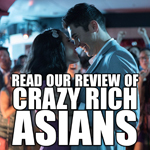 It is a very goofy concept, but one that works surprisingly well as an allegory or metaphor. Innocence is a story that could easily have been told using the original Star Trek cast, with the weird Drayan biology seeming just as surreal or absurd as the ghost of Jack the Ripper in Wolf in the Fold or half-finished sets in The Spectre of the Gun. However, it is part of a much broader literary tradition; “aging backwards” is a storytelling chestnut, a starting point which allows the author to provide telling commentary on the human condition. I hadn’t heard of the Fitzgerald story until my book was published. I thought I’d invented the idea. Such hubris! The vanity of a solitary writer! Now whenever I do a reading, people say, “You know, there’s a Star Trek episode about people aging backwards.” Mork and Mindy had a character age backwards! The premise of Innocence, although fantastical, is arguably no less silly than warp drive or the replicator. It is a story that is hard to classify as “science-fiction” in any meaningful sense, unless “science-fiction” is broadly interpreted to mean “it has space ships and aliens in it.” It is perhaps an example of Star Trek successfully skewing towards fantasy. To be fair, this does mean that Innocence is covering well well-trodden ground. 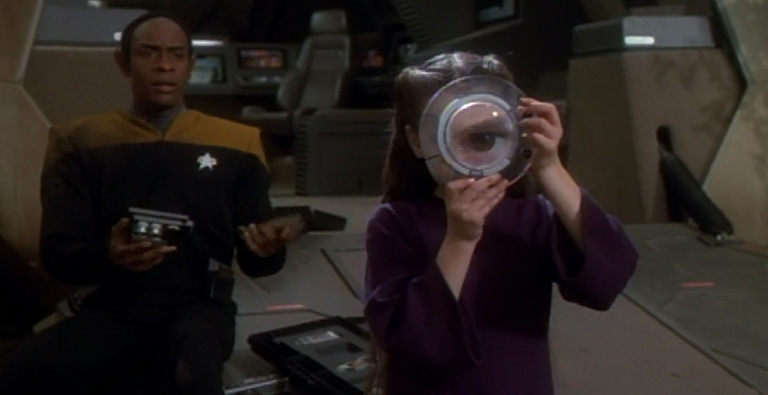 “At this age they become easily confused,” Alicia tells Tuvok. “Their memories are clouded. Near the end of life we reach a state of complete innocence. We free ourselves from all responsibilities to this life and we leave it peacefully.” We get it; in some ways being a elderly is like being a child. The idea that the human life cycle is somewhat cyclical – that we revert back to children as we grow older – is a nice punchline to a short story, but it loses some of its impact through repetition. 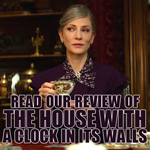 As such, Innocence shrewdly structures itself so that the reveal of the true nature of the survivors is preserved until the final scene; the episode knows better than to labour a point that has already been thoroughly explored and discussed. However, this creates something of a problem for the episode. The idea that the “children” are really a bunch of old people might not be particularly novel, but it is the best idea that Innocence has. A lot of the episode is spent stalling as it builds towards that final scene. Then again, the episode’s slow pace allows the various elements room to breath. There are lots of charming individual elements of Innocence. 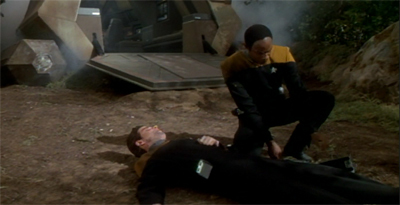 The teaser features yet another dead Voyager crewmember, but at least the episode has time to afford Ensign Bennet a few lines of dialogue before he passes away. Bennet’s monologue is a little blunt and heavy-handed, but he still feels more fleshed out and developed than Jonas or Hogan. 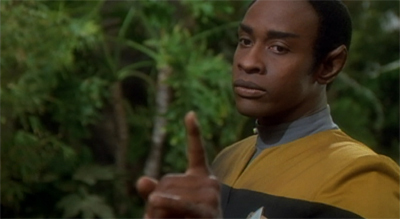 More than that, Tuvok’s attempts to counsel him provide a nice character moment for Tuvok. 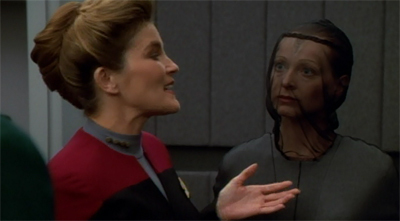 The sequences of Alicia touring the ship with Janeway are charming in their own relaxed low-stress sort of way. There is room for philosophical conversation and the civil exchange of ideas. Alicia’s interactions with the EMH underscore just how wonderful Robert Picardo is, even when afforded precious little material. Innocence is definitely more relaxed than Deadlock or The Thaw, but it never drags. 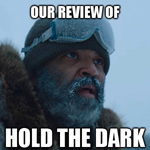 The pacing feels deliberate rather than indulgent. It is hardly a classic episode, but it certainly above the season average. The cave is an important part of Innocence. It seems like Corin and Elani are drawn there before they die. It is not home to any living creature, but instead to the abstract concept of death itself. Quite cleverly, Klink’s teleplay mirrors the allegory playing out on the planet to the conversations happening on Voyager. “One of our greatest philosophers, Plato, wrote that what we see around us are only poor shadows of ideal objects which exist on a higher plane,” Janeway explains to Alicia, an acknowledgement that Innocence itself is playing with abstract concepts. The warp core does not exist as proof of some underlying physics concept or as theoretical model of scientific advancement; the warp nacelles do not operate according to the physics that underlie the real world, at least not in any concrete manner. Instead, the warp engine exists as a means to get the characters on Star Trek into new stories with new characters. The pseudo-science of Star Trek is not an end of itself; it is a means to an end. Similarly, the transporter does not exist because of anything related to science, but because the production team needed a budget saver. There is an almost lyrical quality to Innocence. Even the costuming of the Drayan representatives feels delightfully operatic and overstated; Alicia and her companions board Voyager dressed in black robes and with shawls drawn over their faces, as if stuck in a perpetual state of morning. The survivors of the crash are all dressed in jumpsuits in strong primary colours. This is perhaps a stylistic nod to the aesthetic of the original Star Trek, albeit one less pronounced than the entire production design of The Thaw. It helps that Innocence is centred around Tuvok. Although Tim Russ was woefully underused on Voyager, the character of Tuvok creates a very clear link back to the original Star Trek. (That link would be cemented in Flashback.) 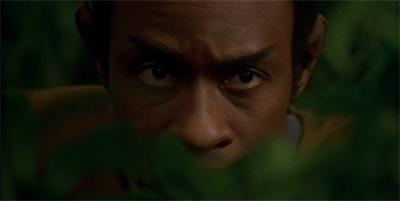 As the first full-blooded Vulcan regular on a Star Trek show, Tuvok creates a very strong link back to Spock. Appropriately enough, Tim Russ’ performance is very informed by Leonard Nimoy’s characterisation of Spock. If Innocence is a conscious throwback to the style of the original Star Trek, Tuvok is the perfect character to drop into it. 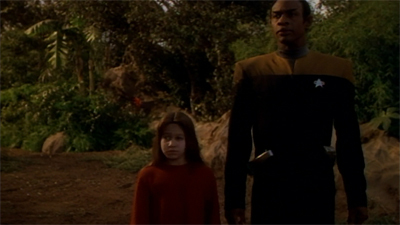 The premise sounds hokey – Tuvok is trapped on a planet with a bunch of children – but it really isn’t as hokey as it sounds. When they gave me that premise to work on, my reaction was, ‘God this is going to be a sit-com.’ It really did not turn out that way at all. 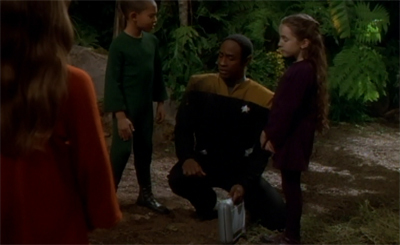 I think it came together well, because Tuvok has children at home so it was a chance to explore him as a father. What are Vulcan fathers like? How do they raise their children? And there is also a little mystery on the planet: these children are disappearing one by one. 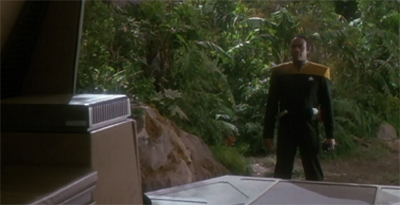 So Tuvok has to determine what is going on. As the only regular cast member with full nuclear family back home, Tuvok makes sense as the protagonist of this particular story. Innocence arrives near the end of Michael Piller’s tenure on Star Trek. He would depart the television franchise after the end of Voyager‘s second season, having been responsible for a number of disastrous creative decisions over the course of the year. Looking the choices that Piller advocated over the course of the second season, it is perhaps fair to argue that the writer was past his creative prime. His refusal to accept that the Kazon weren’t ever going to work suggested a producer out of touch with the Star Trek franchise. At the same time, Innocence works well as a reminder of the fundamentals that Michael Piller brought to the franchise when he took over stewardship of The Next Generation during its troubled third season. Piller was a writer who advocated that story should serve character, that the franchise’s science-fiction concepts should never overwhelm the cast. Piller advocated for every story to impact or inform the primary cast in some meaningful or substantial way; they should be more than mere passengers, they should be participants. I also enjoyed working for Michael Piller. I never found him too critical. He was famous among the staff for always asking: “What’s it about?” In a big picture sense. 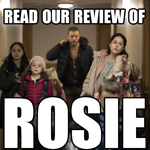 Is the story about a character wrestling her inner demons, or about how paranoia can infect a group? 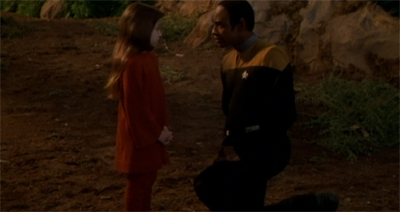 I remember him asking that question about my episode Innocence, which stranded Tuvok on a planet with a bunch of kids. In the first story meeting: “But what’s it about?” Fortunately, I was ready. “It’s about Tuvok as a father. How do Vulcans raise their children to be logical?” Good enough. We continued breaking the ep. 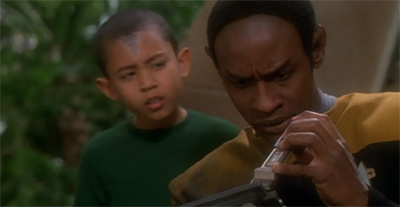 Of course, Innocence is not necessarily the most informative or insightful Tuvok episode, but the focus on the character helps to make the episode more than just a fantastical allegory about the experience of aging. Innocence is not a particularly strong episode of Voyager, but it is an interesting episode that feels decidedly old-fashioned in its execution. I did not know that. The joy of coincidences! I have to disagree that Innocence does not drag. 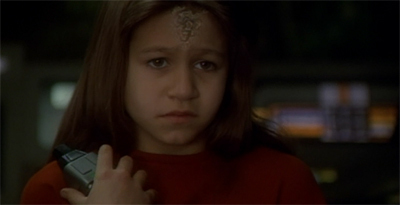 I think the children scenes go on for far too long, and it does not make sense to me why the Aliens do not simply tell Voyager what is going on with the children. Why is telling Voyager “they are old” so hard? This episode is just built on too many contrivances for my taste, which is unfortunately a consistent element in Lisa Klink’s writing. 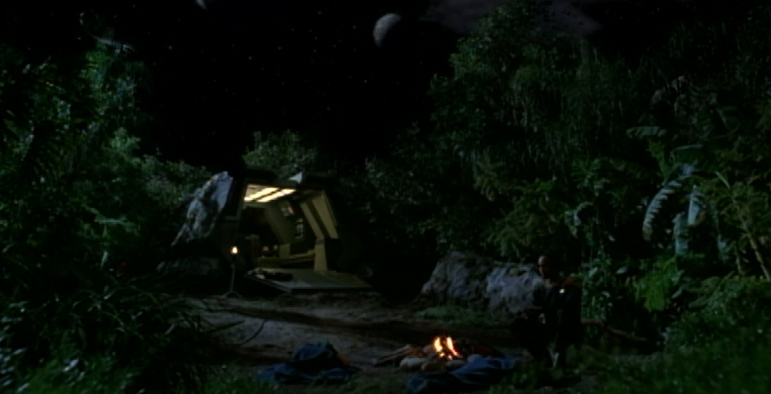 Even one of her better scripts, Hippocratic Oath, is built on the ridiculous coincidence that a shuttle just happened to crash land right next to the Jem’hadar. 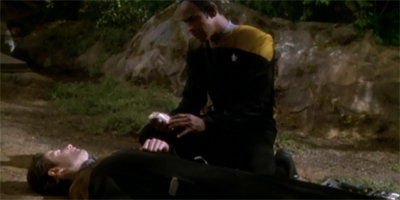 Weren’t O’Brien and Bashir lured to the planet by the engines of the crashed Jem’Hadar ship? Which justifies them crashing right on top of it, I think. It is a fair point about the contrivance necessary for Innocence to work. Here starts a new Voyager tradition. Whatever shuttle Tuvok steps inside of, it will crash. We’re fast approaching a point where Voyager defies analysis. 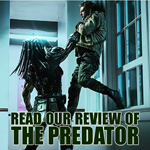 It has kicked the series premise to the curb. 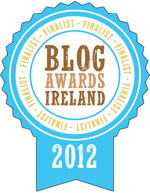 It’s not trying to win a Peabody award. Apart from “Memorial” and “Nemesis”, there are no more message shows on the horizon. This is feel-good fantasy television for children. I’d consider “Remember Me” to be a message show, but I think you’re right. We’re entering the No-Danger-Zone, so to speak. I guess no more rides to the Danger Zone then. Damn. 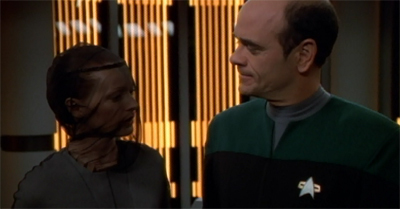 Alcia’s line about the technology became more important then the people could apply to Trek as well. The Drayans abandoned this belief to return to themselves and that’s what Michael Piller achieved on TNG with great success. I would have liked that thinking applied to Voyager more because modest episodes like Meld and Jetrel have been where the show has really scored up until now. One thing I especially liked about Innocence is how Tuvok fails miserably to discipline Tressa, Corin and Elani, even though he’s a father of four. It’s like how his teaching methods failed to yield any results with the Maquis in Learning Curve because he’s used to raising children as emotionless as he is, not ones with short attention spans and no time for exercises in deconstructing emotion. During Alcia’s tour of the ship, I couldn’t shake the feeling that the crew are bending over backwards to be nice (even the Doctor!) because the Drayans have a resource the crew are in desperate need of. It was more then just a cultural exchange between two peoples but more a case of “I’m Ok. You’re Ok. Even though you all wear silly veils, you do have something we want”. I think Hogan could have been better developed if he had been given the chance, but it’s amusing that the biggest impact he had on an episode was as a pile of bones in Distant Origin where his remains proved a common ancestry between humans and a hyper-evolved dinosaur species, the Voth. It’s funny how everyone, including the show’s own writers think Tuvok crashed (and brought the shuttle back intact for once!) on a planet. But it was on one of the moons of Drayan II. That’s a very fair point about Tuvok’s own children being logic-less. I hadn’t thought of it that way, but it probably makes a great deal of sense. Although I think Gravity makes it clear that Vulcan children are not as emotionless as their elders, I suspect even being raised in so emotion-free an environment probably makes them a bit more stoic by default. I just recently watched Into the Fold, an episode of The Orville where the robotic Isaac had to babysit Dr Finn’s two sons on an inhospitable planet. Isaac’s dispassionate way of discipline was hilarious to watch like when after they’re bickering becomes too much to bear, he took they’re handheld video game off them and vapourised it, he flatly tells them a bedtime story in a monotone voice before reciting it in Dr Finn’s voice and he gives them a weapon to protect themselves from scavengers. That episode really did remind me of Innocence.